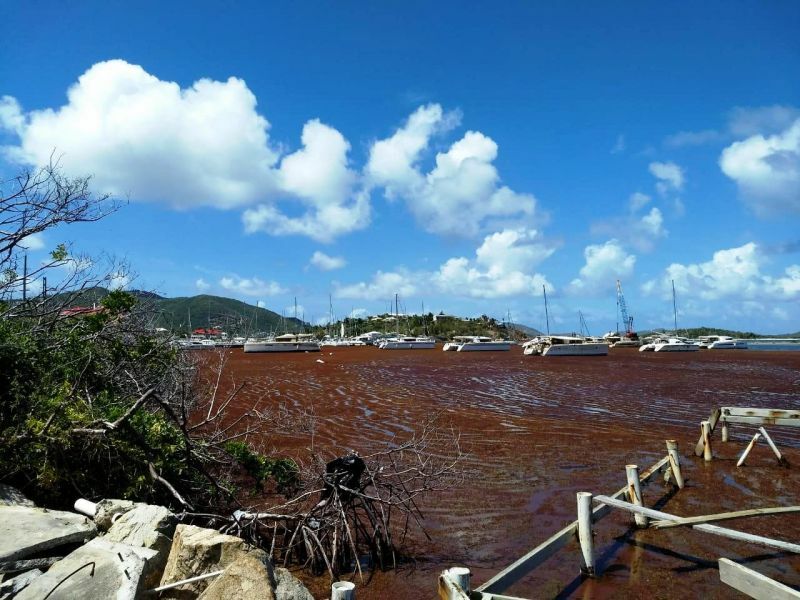 -putrid odour already unbearable in areas! 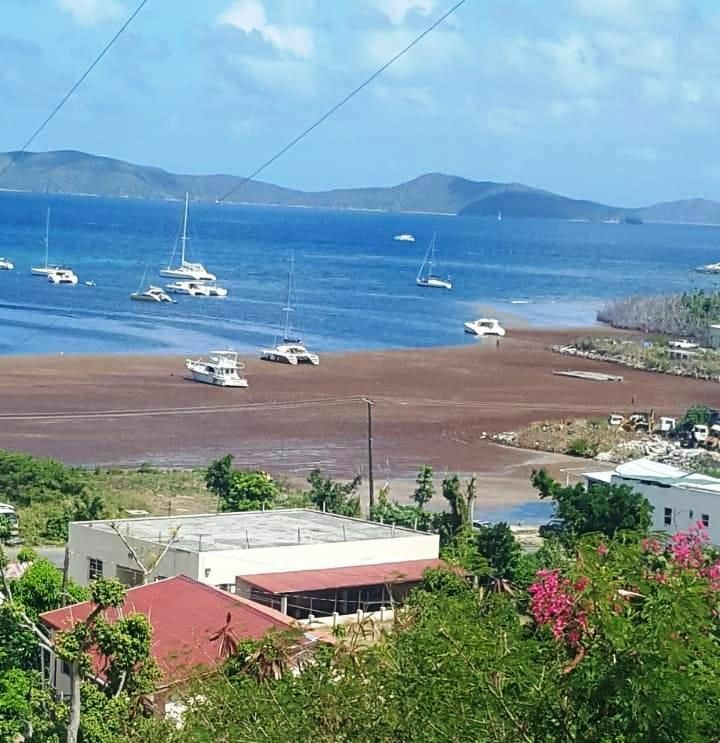 The seasonal seaweed has in recent days been spotted accumulating in areas across Trellis Bay, Beef Island, Sea Cows Bay, sections of East-End and Fat Hogs Bay among other locations around Tortola and its sister islands. The seasonal invasion of the floating algae serves as a marine habitat for hundreds of fish and turtle species but is also disruptive. 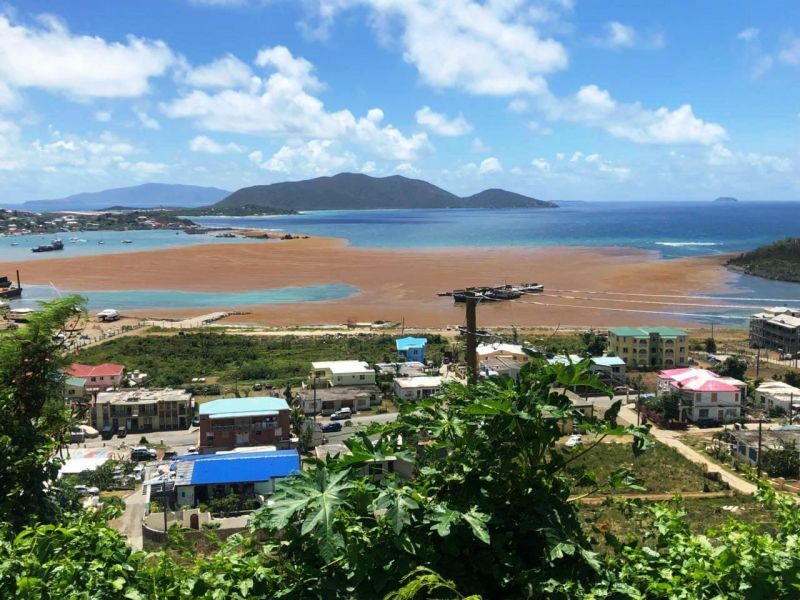 The accumulation of the seaweed in the pristine VI waters, in addition to its foul odour, is often times the source of blockages in the seawater intakes at strategic locations throughout the Territory. This, in addition to the potential disruption to navigation in affected harbours. The invasion of ‘sargassum seaweed’ also leads to a marked reduction in beach related activities – a cause for concern in light of the tourism industry already being significantly hampered by Hurricanes Irma and Maria last year. The foul odor has also been found to have infected potable water supplies across the Territory. The VI Government has in recent years explored a range of alternatives aimed at mitigating the impacts of the annual seaweed invasion and its deleterious effects but is yet to come up with a working solution. It is unclear what the Government policy is for dealing with the seasonal disruption. There have also been no formal announcements on its clean up. Sargassum Seaweed is a floating algae that is accompanied by a putrid smell akin to that of rotting eggs—a result of its decaying process. The stench can in fact prove to be a severe irritant to persons with sensitive respiratory systems particularly. Then ndp sins must be all over the Caribbean islands for I just came from a few of those islands and that thing is on all their shores. Send the ministers out to scrape it up then complain that they're not doing a good job. Hmmmm imagine all visitors got to pay $10 for environmental fee and the environment doesn’t look nor smell good... especially down by the ferry dock!!! Send the prisoners who is sitting around doing nothing with some gloves and trash bags to clean up the seaweed. I BEEN saying this! !...y are my tax dollars paying for their comfort, relaxation n food! they are criminals make them do some community work for the community they were trying to destroy!! Are there any measures in place for clean up. Is this scent harmful to kids and pregnant women? Put the inmates in disposal jumpsuits, boots, give them some gloves and trash bags and have them go out and clean up the seaweed. Nothing is free in life. We the tax payers is footing the bills for the inmates. Just like we have to work to earn a living, the inmates should be also earning their keep.